Establishment of the working base, with its own water supply and electricity, establishing laboratory and workshop facilities, mobile crushing plant and asphalt plant. Mobilization of large amounts of equipment in very limited access, 2 ships per. year. We have mobilized with 6 excavators, 4 dump trucks, 4 trucks, dozers, degrees, and compaction equipment, asphalt paving equipment and general transport equipment. In addition, generators and water pumps, and fully equipped workshop. Operation of the workshop with 3 employees for servicing and repair of all equipment under very demanding conditions, with very limited access to spare parts. 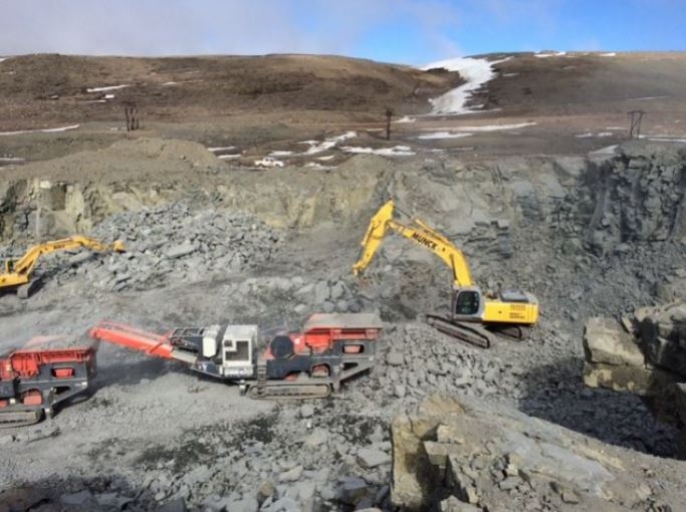 Scope of Work: Removing solve over materials / soil, drilling and blasting front of 45,000 m3 rock and crushing and production of sub base, base course and stone materials for asphalt production. Removing the existing material, incl. base course, and excavation of 30,000 m3 sub base in permafrost, the establishment of new sub base, base course and subsequent asphalt pavements. Establishment of new landing lights and traffic signs. Temporary landing, during construction. Since there is a very limited working period of Thule because of the cold climate, a great part of the work takes place around the clock. This places extreme requirements for the equipment and management resources on such a task. Level of staffing on the project was when activity peaked around 50 employees. Our equipment is adapted to the special and demanding conditions that make themselves comply with current e in areas with permafrost, special equipment that can process frozen soil containing rock materials. 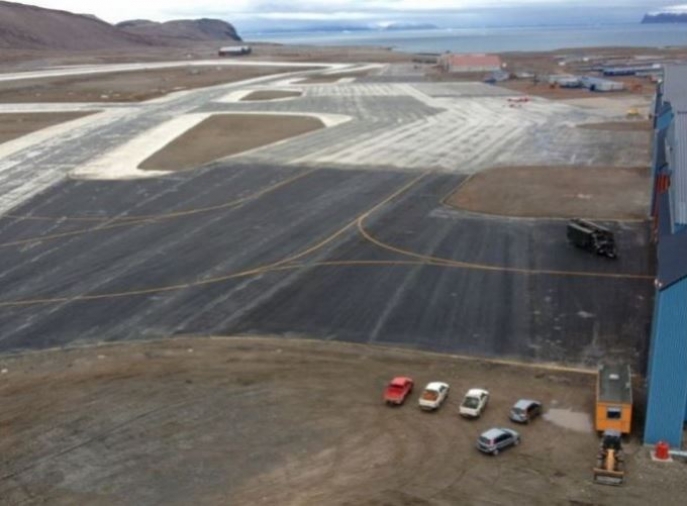 Work on the apron was completed in September 2014, and the first half of the runway early September 2015 and last part of the runway finalized by the end of August 2016.